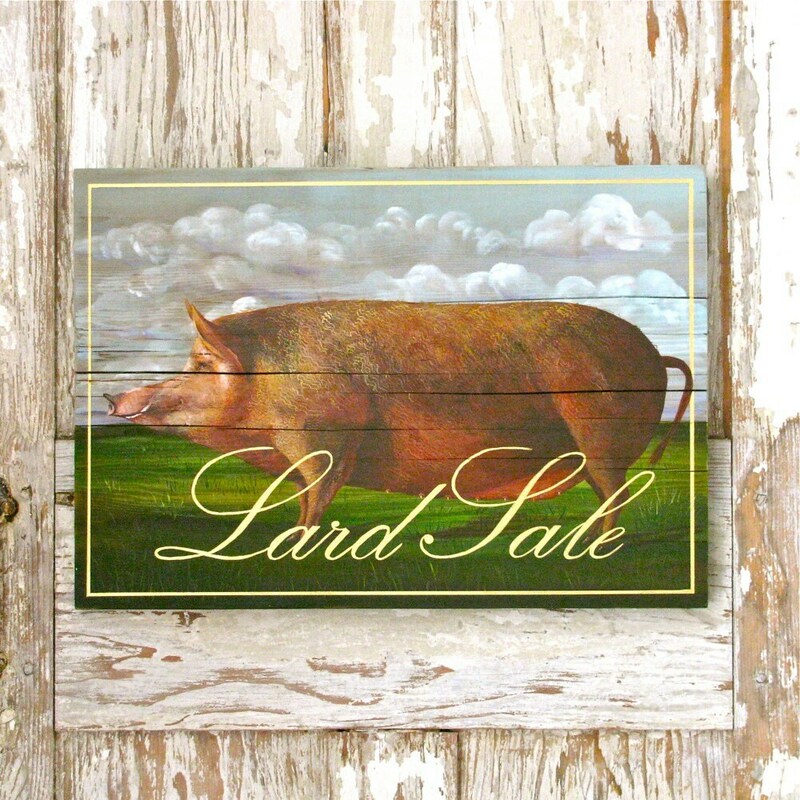 This fun art piece is a original painting is a great gift for the foodie in your life, and for those of us who love pork or those of us who love a great yard sale, any way have fun with this quirky pig. This is a ,Made to Order, art piece, (3-4 weeks) delivery. Welcome to our shop, we hope you enjoy our original acrylic painting on reclaimed rustic solid wood boards. All of the boards are chosen for their beautiful and unique natural qualities. Our calligraphy is hand painted (not press on letters ), and every piece is signed and dated by the artist Gigi and ready to hang. This sign is a great compliment to any kitchen or family room or garden room or bathroom. We welcome commission work and specialize in custom signs ( indoor and outdoor ) , just contact us with details and we’ll get the ball rolling, please allow 3-4 weeks delivery.